Yesterday, DC revealed the trailer for their highly anticipated movie Aquaman. Then, how could have Marvel stayed behind DC in the game of wooing fans, so they took the stage at CineEurope to reveal the Avengers 4 first look, their mega-crossover event. As per the reports from Hollywood Reporter Marvel Studios President Kevin Feige “served up some exclusive glimpses of the untitled fourth Avengers film.” This update is surely amazing and we are waiting to get our hands on the revealed images. The complete details regarding the material have not yet been revealed or the official title of the Avengers 4. Going by the updates till now the Avengers 4 first look included some concept art and promotional images. With the film still in post-production and reshoots going on don’t expect to see the trailer soon. However, the concept art revealed might give away some clues regarding the storyline or throws some light on the various Avengers 4 theories. 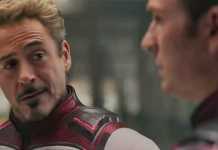 The hype surrounding the Avengers 4 is at its peak as no day goes by when we don’t come across any wild theory regarding the movie. 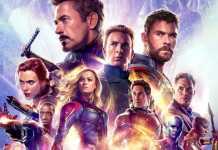 Fans are going nuts over each update revealed by the Marvel and their sharp eyes are always looking for a clue that may reveal some major point in the plotline. This year CineEurope event has given some of the hot details regarding the upcoming movies. A few hours back at the event Marvel also revealed the first look of Captain Marvel as another of their highly anticipated movie. The Captain Marvel teaser revealed during the event gave the major glimpses into the plot of the movie. Fans who got to witness the Captain Marvel teaser were pretty hyped and mentioned that Oscar-winning actress Brie Larson is the future of Marvel Cinematic Universe. The teaser has not been revealed online and it looks like we have to wait some more time to get our first look at the most powerful superhero in Marvel Cinematic Universe. The fans who got the chance to see both Captain Marvel teaser and Avengers 4 first look took on the twitter to share their views regarding the Marvel’s future plans. Another Twitter user also went straight to social media to share their excitement about the Captain Marvel Teaser and Avengers 4 First look. We will have to wait some more time to get our first look at these highly anticipated movies. Captain Marvel starring Brie Larson(Captain Marvel), Jude Law(Mar-Vell), Samuel L. Jackson (Nick Fury), Ben Mendelsohn, Djimon Hounsou (Korath), Lee Pace (Ronan), Lashana Lynch and Gemma Chan (Minn-Erva) arrives in theatres on March 3, 2019. Then it will be followed by the mega-crossover event, Avengers 4 on May 3, 2019.